So take a break, and relax with Pigment, the ultimate coloring app with the most pages to choose from including exclusive Disney content. You can choose to "tap and fill" or immerse yourself in Pigment's unique coloring experience that lets you color like you would on paper, with 24 different pencils, markers and brushes. Get creative with the watercolor and pastel tools, use markers, colored pencils and even oil paint! Pigment also gives you an unlimited number of colors using the color wheel and innovative shade control slider. You can also create and save your own custom color palettes or choose from the curated ones provided. 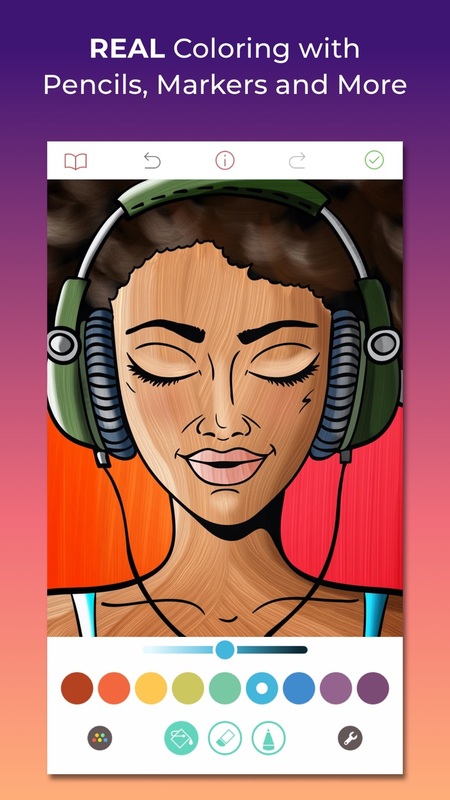 You can import your own images, draw and paint right in the app or choose from the large collection of professionally-drawn illustrations including flowers, mermaids, people, animals, landscapes, mandalas and so much more! And for the more advanced colorists you can choose from Freehand, Automatic, or Advanced mode, giving you even greater control. Want to share your creations with friends and family? You can save your finished pages, share them to social media, email or text them, and even print them out right from Pigment! 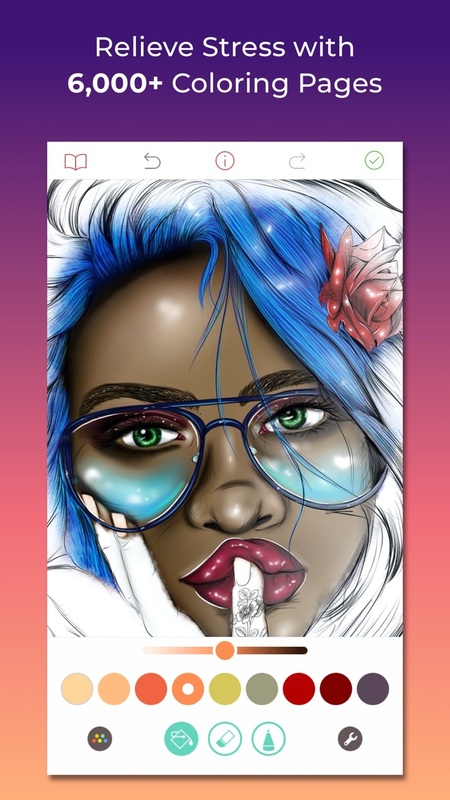 * The largest artwork collection available in an app with over 4,000 professionally illustrated pages including exclusive Disney content to color. New pages added daily! * Pigment is the only coloring book app that simulates pencil, markers, and paintbrush strokes for a realistic coloring experience. 24 kinds of coloring tools — including Colored Pencil, Marker, Paint Brush, Glitter, Pastel, Sand, Airbrush, Watercolor, Wood Grain, Blender, Circle Brush, Plasma, Splatter, Oil, Metallic Fill, Pattern Fill, Fade, Bloom and more! * Pigment offers "tap-to-fill" and traditional coloring modes. * Unlimited number of colors using the color wheel, innovative shade control slider, and professionally curated palettes. Create and save your own custom color palettes! * Subscribe to Premium Access for unlimited access to the entire library, premium brushes, and exclusive color palettes. * Get inspiration from the Pigment Gallery, where you can share your own work, and see pages colored by other users. * Share your finished coloring pages by email, text, Facebook, Instagram, other social networks and in the Pigment Gallery. * AirPrint your finished coloring pages. * Fully supports finger, Apple Pencil, and third-party stylus inputs. * Adjust pressure, direction, and size of stroke using the Apple Pencil. You can get Premium Access for free for 7-days with a free trial. After the free trial you will be automatically renewed to the weekly subscription which you can cancel at any time. The paid subscription costs $4.99 USD per week for the weekly plan, $9.99 USD per month for the monthly plan, and $59.99 USD per year (58% discount off the monthly plan) for the yearly plan. Prices are subject to change. Premium Access automatically renews unless auto-renew is turned off at least 24-hours before the end of the current period. Your account will be charged for renewal within 24-hours prior to the end of the current period.